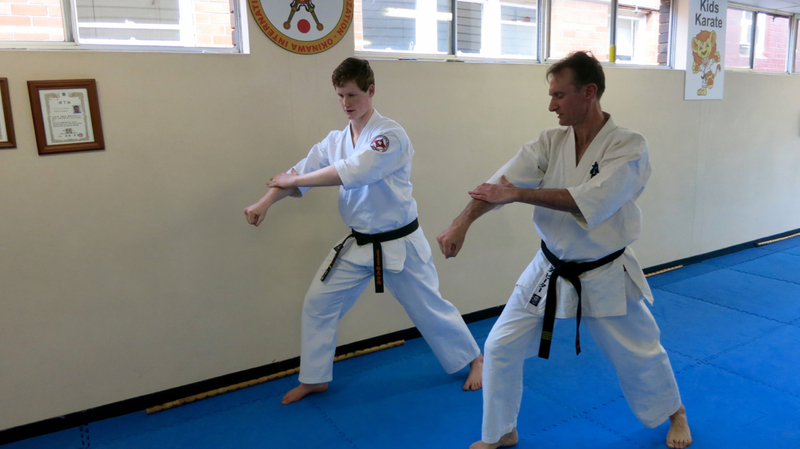 A Yudansha training weekend was held in Sydney for black belt grades in Kyokushin Karate and Kobudo weapons. 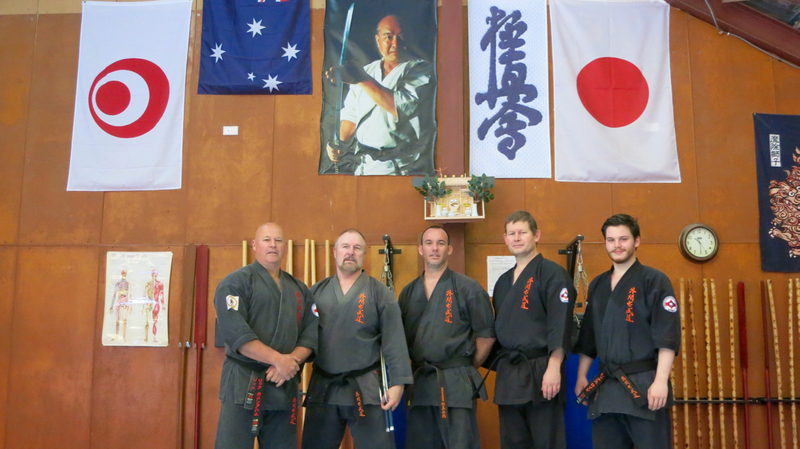 Sydney black belts, and Sensei Jon Ellis from Ballina Dojo, participated in the training. Sensei Peter Olive runs Sempai Jason Lambe through Kanku Dai. On the Saturday was an afternoon class at Turramurra Dojo. Shihan Rick Cunningham took the class. Every Kyokushin kata was revised, from the first Taikyoku to Seienchin, Sushi Ho and Kanku Dai. Training continued on Sunday morning at Annangrove Dojo, instruction again led by Shihan Cunningham. The Bo and Sai katas were revised with attention paid to technique and pacing.